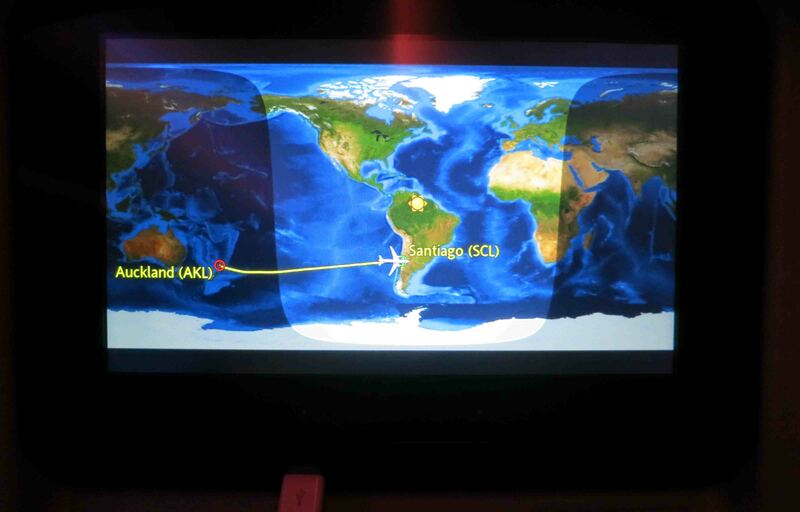 Sydney to Santiago with a stop in Auckland. The flights from and to Australia were code-shared with Qantas to go from/get to Melbourne. The price to Quito and returning from Rio (open jaw ticket) was just over $1700 AUD, the other three flights were a total of just over $800AUD a week before flying bought in Buenos Aires. I got points for the flights for my Qantas Frequent Flyer, although being the cheapest tickets possible it wasn’t a lot. The way over the transits were longer than the way back home, when they were around an hour both in Santiago and Auckland and it was just not long enough, very stressful, had to go through security at both airports, and in the end my bag didn’t make it back on the same flight as I. But the inflight experience. Well, across all flights we were never leaving more than 15 minutes late which I treat as on time. I flew on mostly Airbus A320s and variation of, which meant mostly six seats across in a 3-3 formation. 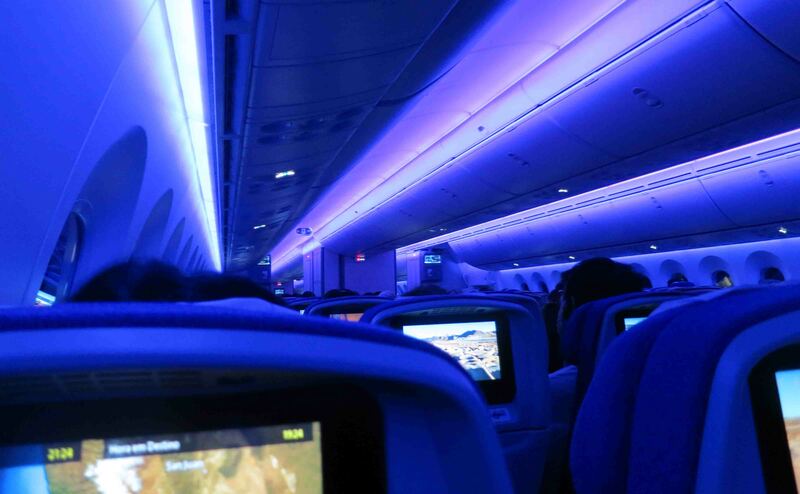 On the long haul flights to and from Santiago though I took the Boeing 787 Dreamliner which I’d have to say is probably my favourite plane at the moment. The food was pretty decent, although with my nut allergy they were only prepared to give me the ‘bland’ meal which was a chicken fillet and a few vegetables and rice. I was disappointed that they didn’t have milk on board, instead giving me this powdered ‘creamer’ thing. It tasted okay in my tea, but it wasn’t milk. Entertainment system on the 787 was pretty good, on the smaller flights they offer a wifi entertainment system which you can connect to your device – if you have their app downloaded. I had my own tablet with videos and games anyway so I didn’t use that. It doesn’t cost extra though. Sleep. 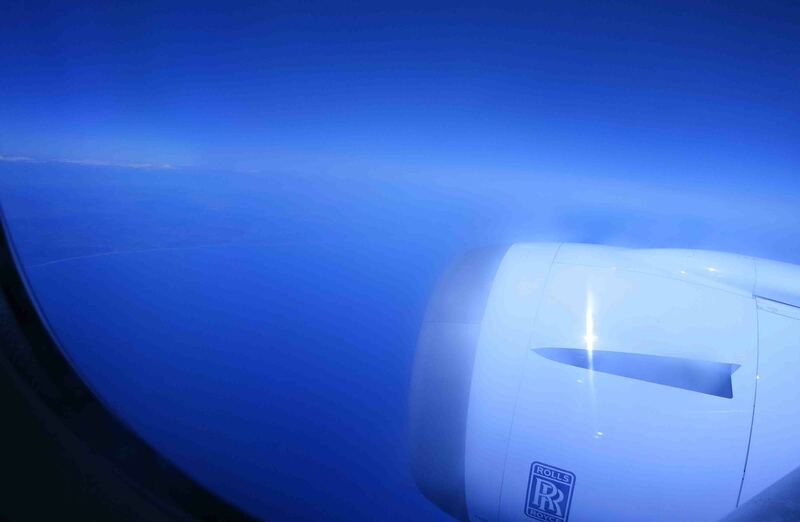 Well, I slept really really well on the 787 on the way to South America. I was pretty tired getting on board from the first flight, I’d only had three hours sleep the previous night, but the legroom on their 787 was probably the most I’ve ever experienced in economy, and I had the seat next to me free. 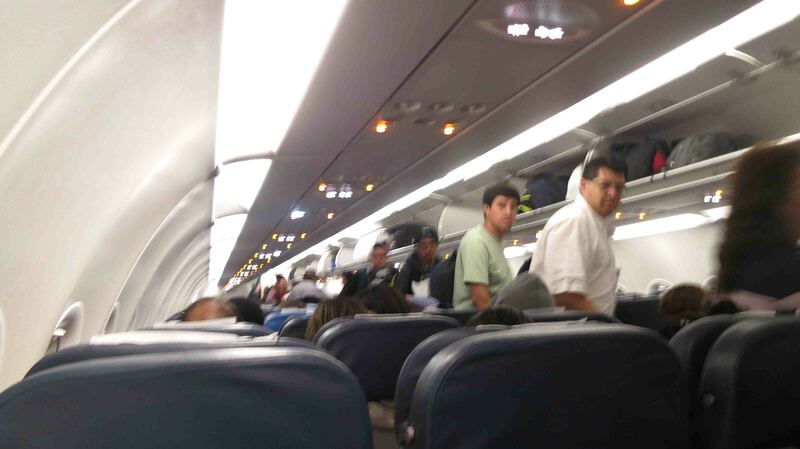 Having said that I was on the aisle on the way back, also a 787, and the flight was full and I got next to nothing. 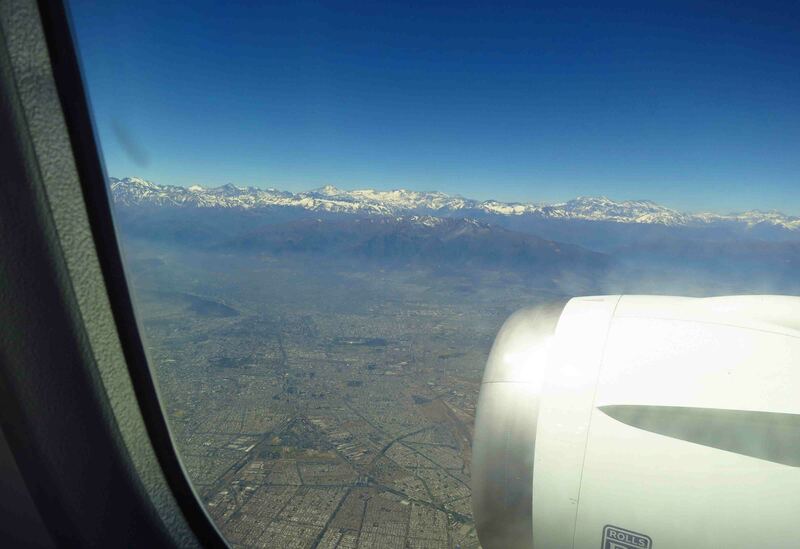 Chile and the Andes – my first look at South America! Service was always friendly, helpful and kind, I can’t fault that at all. The condition of the planes was generally excellent although the flights in Argentina wasn’t quite as good as the long haul, which I guess you might expect. All in all – on time, comfortable, great onboard staff, decent food and decent entertainment system. 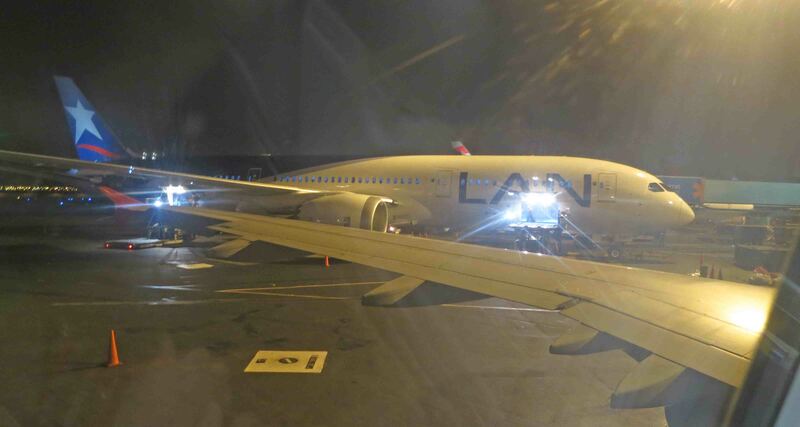 I was very impressed with Latam/LAN (LAN and TAM combined a year or two ago to form LATAM, not all planes have had their paintwork updated) on the whole and really do rate them up with the best airlines that I have flown with. If you’re heading to this part of the world, I highly recommend them as your carrier. May the Journey Never End! Great review, and particularly about the trans-Pacific flight, it’s good to hear. I had heard horror stories of that long flight on Aerolineas Argentina a few years ago, so it’s great that LATAM are offering a better product. Thanks for the read. Yeah I was very pleasantly surprised! Good read, I’m a plane junkie so always like to hear about airlines I haven’t flown yet. Thanks for the article! You mentioned you had a nut allergy, did you notify LATAM before the flight or let them know when you arrived? I’m flying with them next month and wasn’t sure how to notify them of my allergy. i apologise for not responding straight away. Yes they were notified through my agent before I left. which i think is important but then i get the ‘bland’ meal so that there’s no chance of contamination. but the meals were truly bland. if you dont have an agent, they should have a local number for you to call. Thanks for this post. Did LATAM serve peanuts or tree nuts as a snack (e.g., a bag of nuts to all passengers) during the long flights? And if so did you have a buffer zone? oh so sorry to leave this so long Ann. Actually… I cant remember. but I think they DID serve peanuts but not on every flight. The shorter haul in South America I think they did, from memory I just asked the person sitting next to me not to take them, and they were thankfully okay with that.